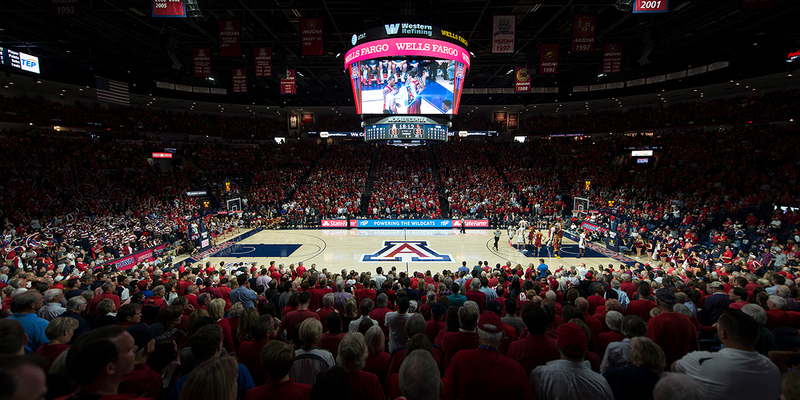 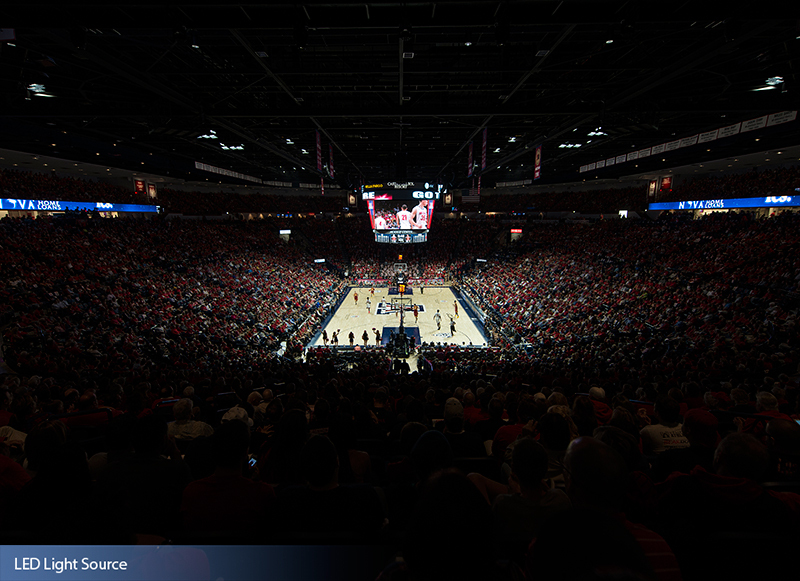 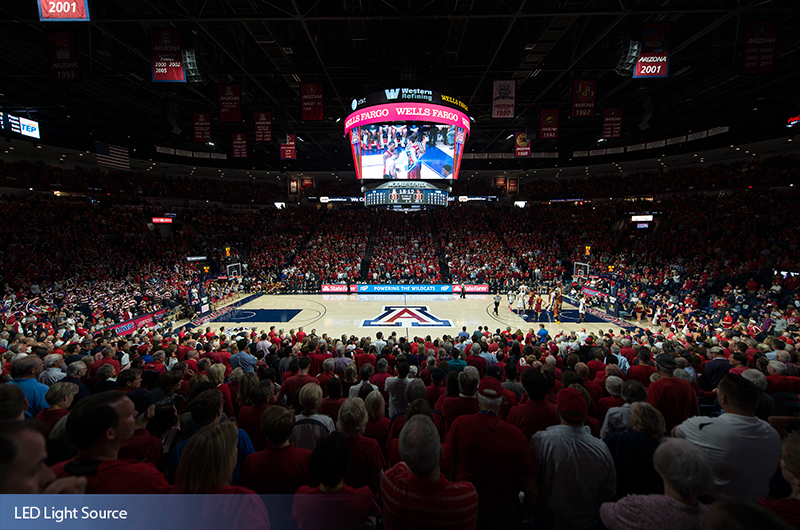 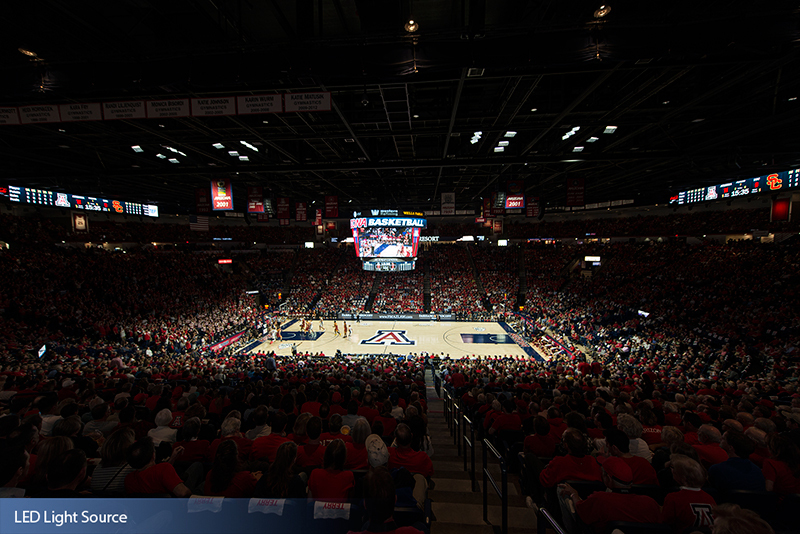 The University of Arizona’s McKale Center needed a lighting system that would improve energy efficiency, enhance playability with a significant reduction of glare, eliminate maintenance costs, and offer special effects capabilities. 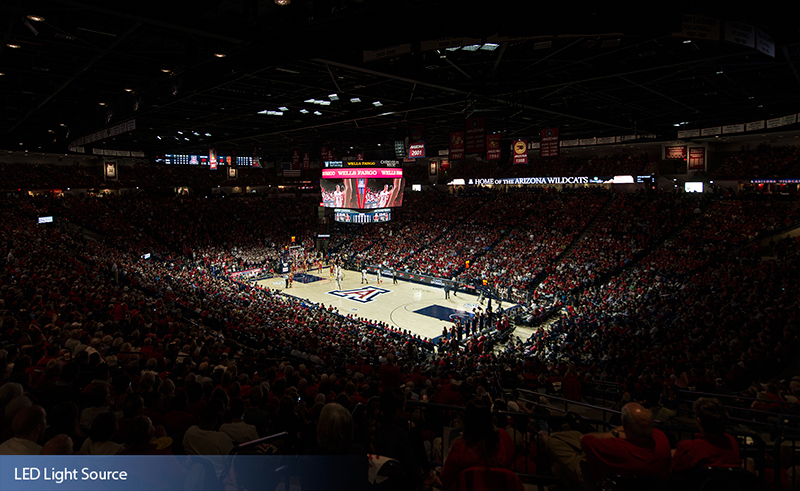 To light the McKale Center, Monrad Engineering, Benya Lighting Design, and the university chose Musco’s innovative lighting solution using an LED light source. 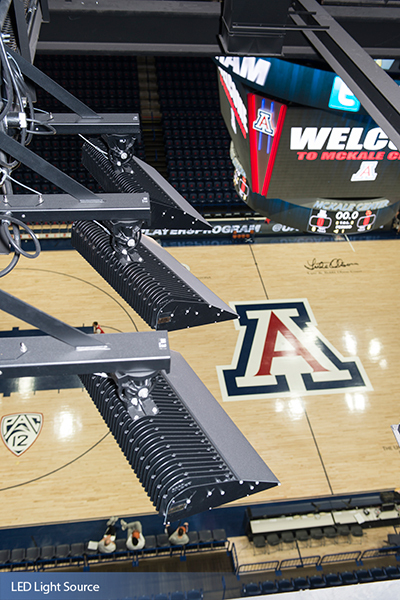 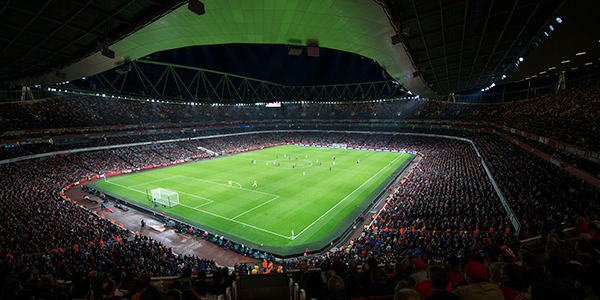 The system’s advanced optics minimize glare for players and spectators, improve the quality of HD television broadcasts, and create a stage-like atmosphere for spectators in the arena. 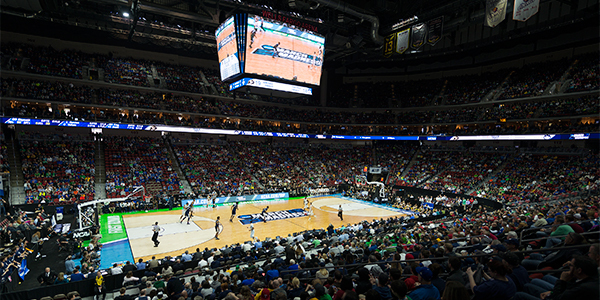 Since the facility is used for basketball, gymnastics, and volleyball, Musco engineered the system to meet the unique needs for each sport.